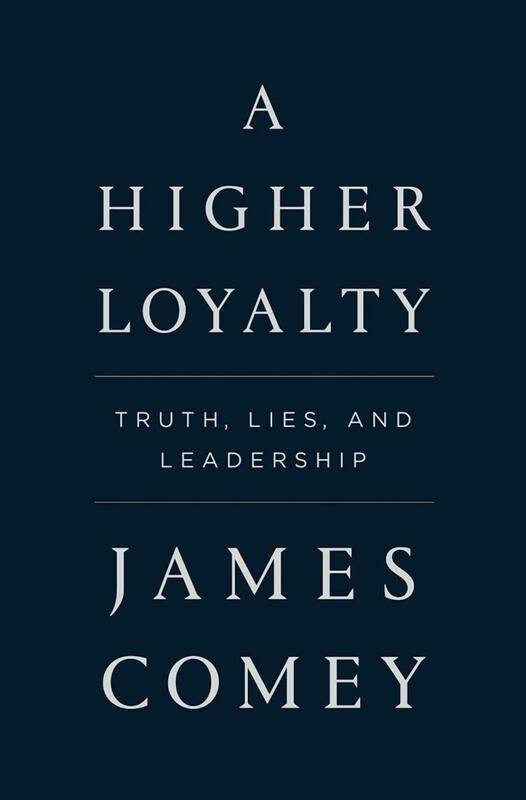 In his fascinating memoir and treatise on leadership, A Higher Loyalty, former FBI Director James Comey discusses his trajectory in government service up until he unwillingly became a political lightning rod during and after the most bitterly contested and partisan presidential election in modern American politics. This work is provocative, substantial, and well worth a reader’s time. She/He gets to know him personally on a philosophical level. Comey became one of the best-known names in America before the 2016 elections, when he announced in late October that the FBI was re-opening an investigation into Secretary of State Hillary Clinton’s use of a private e-mail server for classified documents. Incurring the wrath of Democrats for potentially swinging the election towards President Donald Trump, Comey then appeared before Congress in June 2017 after Trump sacked him to repudiate Trump’s leadership and call many of his statements false. He testified that the President lied in saying that he was fired because of low morale at the FBI. Comey responded that Trump most likely sacked him because he refused to profess his loyalty to Trump and exert his influence to change the way the FBI was investigating Trump campaign officials’ potential collusion with Russia. Comey also stated that he hoped his testimony would help lead to an independent prosecutor who could investigate those possible ties, understanding that it would be highly difficult for the current Department of Justice to conduct a nonpartisan investigation under the warping influence of any leaders President Trump has endeavored to make loyal only to himself. As a long-time DC-area resident reading A Higher Loyalty, I agreed wholeheartedly with many of Comey’s observations. His difficulties have been intrinsically interwoven with the very nature of our partisan political culture, which is now concentrated to a toxic intensity inside the Beltway. As a leader, how does one maintain the necessary nonpartisan distance to gather intelligence in an environment that inherently assumes that you should and will pick sides? After endeavoring to keep one’s institution independent with difficulty under a normal presidential administration, how can one maintain that stance under an ethically challenged president whose only goal is for intelligence institutions to carry out his will? Any official navigating such treacherous currents has a formidable task at hand. Comey effectively makes the case that he had terrible options in deciding whether to inform the public that the FBI was investigating Clinton’s e-mails, particularly when a separate investigation of former Representative Anthony Weiner uncovered a cache of hundreds of thousands of e-mails at the last minute. He believes that he had two impossible choices that were both actions: to reveal that the FBI was investigating the e-mails as a matter of public interest and inadvertently sway the election towards Trump; or potentially delegitimize Clinton’s possible presidency while leaving the FBI open to the accusation that it had taken her side. Comey trusts that inspirational leaders have the confidence to show vulnerability by asking questions, thus displaying emotional intelligence. By extension, he believes that they seek truth from multiple angles before making decisions, however hard those truths may be to realize and absorb. The points he makes may seem self-evident, but obviously they are not. Throughout the book, Comey cites examples of those who inspired him, from a manager at a grocery store that employed him as a teenager to lawyers and public officials he worked for on his way up the career ladder. While stating his model of ideal leadership as tough, decisive, independent but also open to suggestions, he discusses figures who helped create those ideals, along with others whom he found to display mediocre or few such abilities. When describing his dealings with President Trump after the election, Comey judges him ethically challenged, untruthful, and unable to hear advice from any viewpoint other than his own. He also notes the President’s multiple factual lies and verbal contradictions within the space of the monologues he heard while meeting him one on one. After carefully taking notes on every unwanted encounter he had with President Trump both before and after his inauguration, he finds him sorely lacking in all aspects of leadership. If one believes Comey’s account, it seems evident that there was no way for President Trump to accept him as an independent entity when one of the president’s goals was to bend the FBI to his will and attempt to make his potential PR and legal problems go away. As a writer Comey carefully points out details, slowly builds his case, and repeatedly restates his ideas to hammer them home. His attention to precise note-taking after his meetings with President Trump testifies to his legal background and understanding of the unstable environment in which he was operating. He also constantly invites the reader into his point of view, saying that “reasonable people” or “fair-minded people” or “thoughtful people” can disagree or look at his decisions from other angles, doing his best to establish his own integrity. Comey fiercely declares that he has endeavored to achieve an ideal of the FBI antithetical to that of former Director J. Edgar Hoover, who meddled illegally in politics and played kingmaker under eight presidents. In helping to re-create the FBI’s mission statement to match his employees’ purpose, Comey put into place his goals for the FBI to “protect the American people and uphold the Constitution of the United States” with no regard to party loyalties. He proclaims here that the FBI must hold to the higher purpose of protecting and enriching the United States and its citizens while hewing only to the truths to be found in the intelligence it gathers, rather than their political implications. After a concentrated period thinking about the author’s arguments, the reader may have to take a break from Comey’s intense Boy Scout barrage of principles, standards, and morals. They can feel overwhelming. Yet he seems very credible, and as a reader, I exit this work inspired. His earnestness, probity and good intentions ring true. What he has to offer is what many of us desperately need right now: optimism and inspiration that ordinary citizens who are becoming more engaged with positively shaping their world will proclaim their truths in the face of top-down and social-media promoted lies, thus upholding more positive values and inclusive voices. In the end, my favorite part of Comey’s book is his chapter on “The Washington Listen” and how it relates to leadership. Many of us involved in the Washington, DC political arena have sat through mind-numbing conferences, luncheon meetings, and board meetings in which everyone speaks at each other with little real communication. While tuning out exists everywhere, I noticed “The Washington Listen” immediately when I began work in DC after college. As I think about A Higher Loyalty, real listening jumps out at me as one of the foremost ways to break down partisanship. We need to find ways to encourage it and heal the ruptures that currently prevent us from operating effectively as a country. One of my favorite quotations from Carl Jung comes to mind: “The meeting of two personalities is like the contact of two chemical substances: if there is any reaction, both are transformed.” If we take this imperative to not only argue but to also listen to one another from the grassroots up, our American ideal of E pluribus unum would become not just an ever-shining ideal, but also a real-world twenty-first-century possibility.